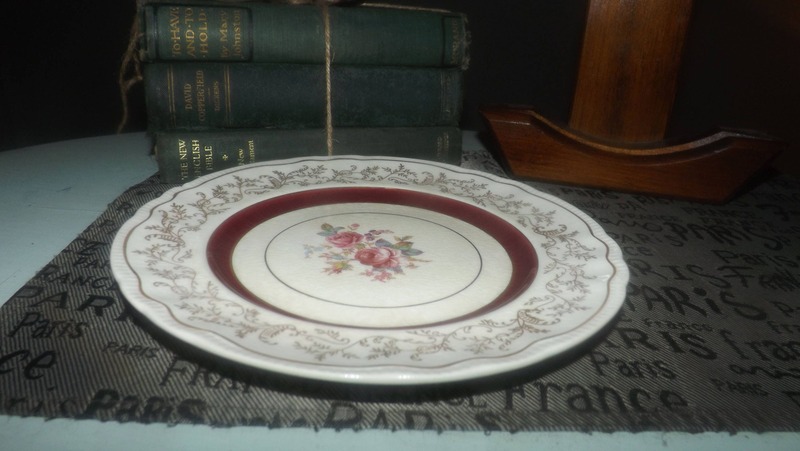 Set of 4 early mid-century (1940s) Montcalm dinner plates. Sovereign Potters. Lavish maroon and filigree, center florals, gold edge. 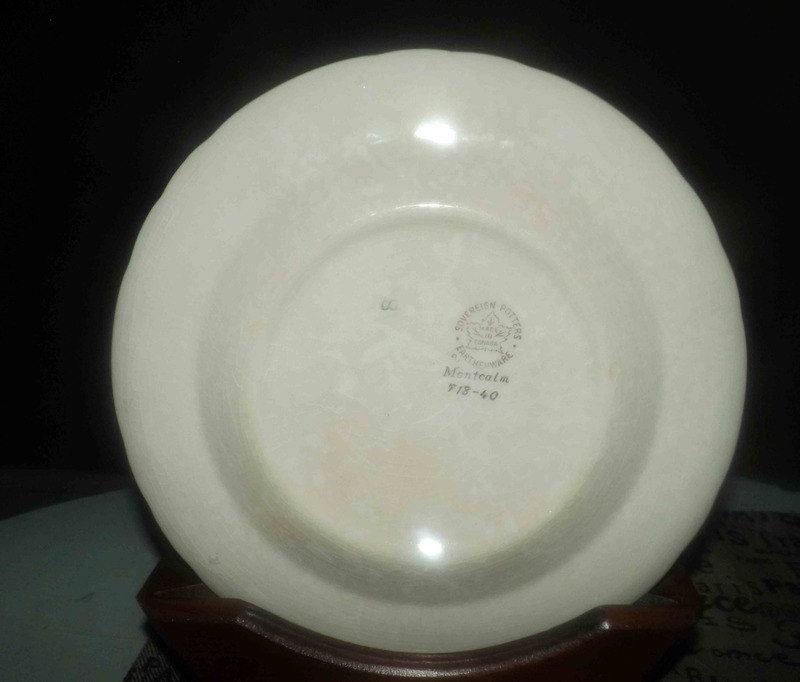 Set of 4 early mid-century (1940s) Montcalm dinner plates made in Canada by Sovereign Potters. 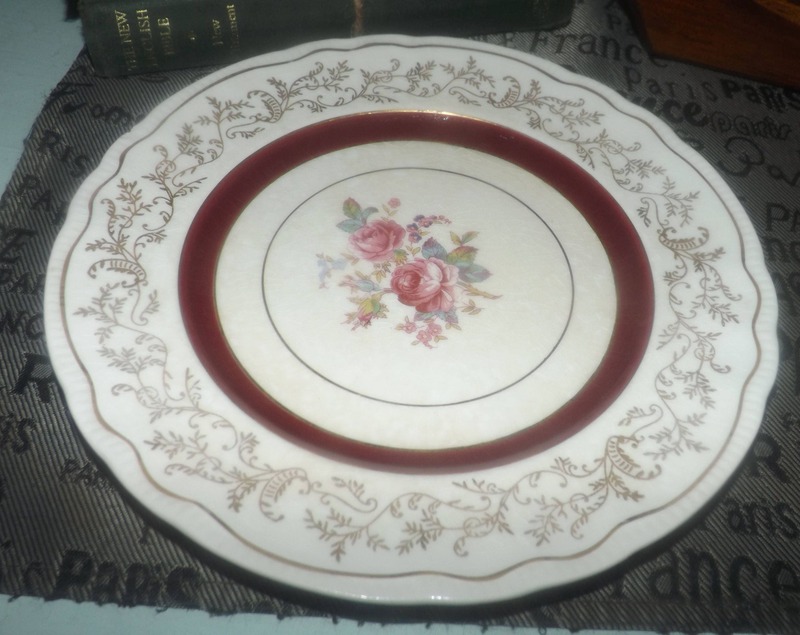 Lavish maroon and filigree with multicolored center florals and an embossed, gold edge. Just beautiful! In overall VERY GOOD! vintage condition. One of the 4 plates has a fleabite to the UNDERSIDE at the edge (please see photo 4). Other than this, there are NO! other chips, cracks or fleabites. There are a couple of minor scratches here and there, mainly noticeable on the maroon bands (again, please refer to photos) but certainly, nothing major or alarming in the way of scratches. There is NO! rub-off to the gold filigree, gold edge or hand-painted florals and the florals overall show very little fading (please refer to photo 3) and VERY MINIMAL crazing (again please refer to plate close up in photo 3). 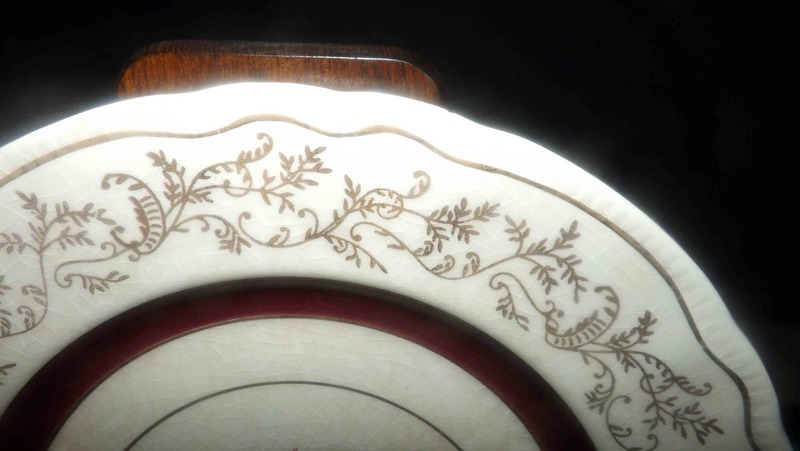 Overall, these luxurious dinner plates are in fantastic vintage condition. 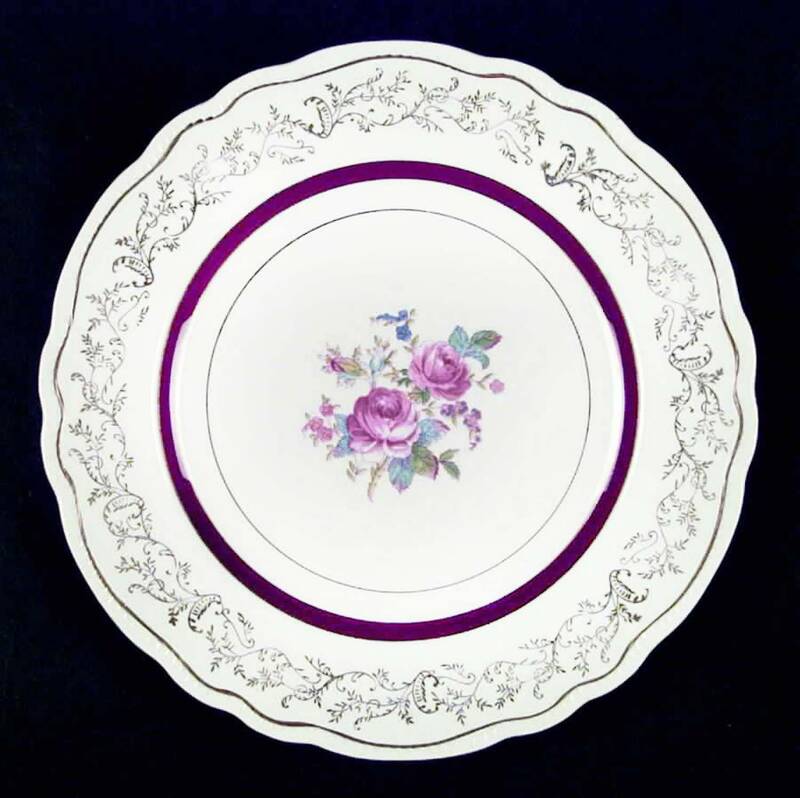 Approximate measurements: 10" in diameter with a scalloped, gold edge.